Over the past two decades, as experience with advanced laparoscopy has increased, surgeons have increasingly adopted laparoscopic antireflux surgery as the gold standard approach to gastroesophageal reflux disease. However, with the expansive implementation of these techniques, a concomitant increased incidence of complications from antireflux surgery has also been observed. 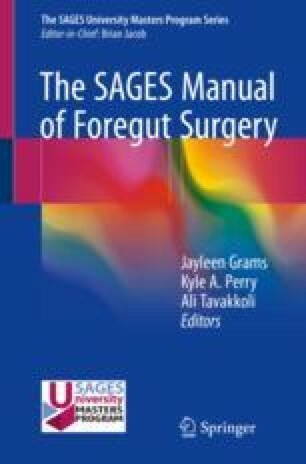 In this milieu, foregut surgeons are increasingly called upon to care for patients who have previously undergone an antireflux operation. This chapter addresses the epidemiology of reoperative surgery of the hiatus, the optimal clinical evaluation and management prior to operative intervention, and the technical approach to caring for these patients.